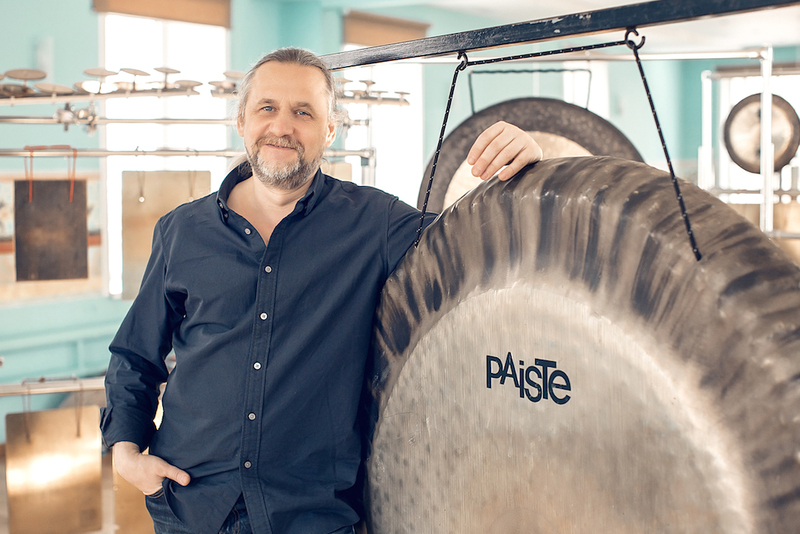 Nikolay Lgovsky - professional drummer and percussionist , playing concerts all over the world for more than 30 years. 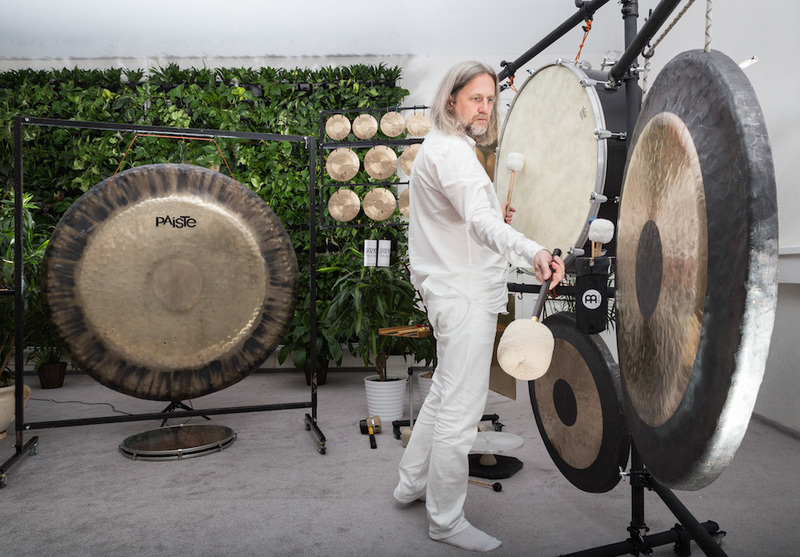 His performance is marked with special attention to the sound – both traditional and experimental. 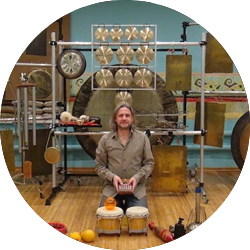 Being at the border of music and sound therapy, Nikolay studies metal percussion instruments vibrations’ impact on the energetic system of listeners and their capability to harmonize it. 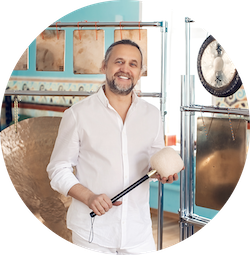 Listening to unique sounds of instruments from Nikolay collection, you will have a chance to experience close connection with your energy flow. Sounds promote deep relaxation; stop the rapid train of thoughts. Sometimes they reveal blocked feelings, allowing and accepting them. Listeners obtain inner peace and freedom. 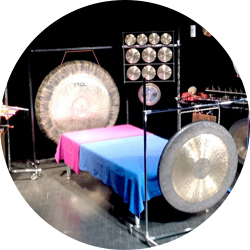 Novelty and uniqueness of meditation concert called “Absolutely Excellent Sound” lies in combination of different instruments: eastern gongs and western flat bells - bilos, complementing and enriching each other. You will see impressive collection of rare and unique musical percussion instruments. MASTER CLASSES in playing percussion instruments. DRUMS, GONGS, FLAT BELLS-BILOS, TIBETAN SINGING BOWLS, CRYSTAL BOWLS. Playing with sticks and hands. Practice. SEMINARS on music theory. STUDIES OF SOUNDS INFLUENCE ON HUMAN ORGANISM. SOUND THERAPY Workshops on RELAXING MUSIC MAKING for everybody. It is not necessary to have special musical education or skills!